At the time of the appointment, our installation staff will be ready at the job-site to unload and begin the installation process. These set-up professionals will arrange and assemble your furnishings according to the instructions dictated in your custom space plan developed by both you and Fineline. 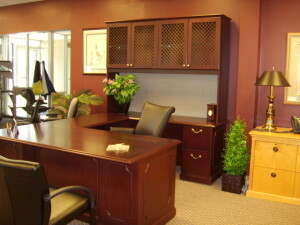 Our work doesn’t end until all furnishings are properly assembled and placed according to your satisfaction. Questions about assembly and installation? Send us your question and we'll be happy to answer!